47,5 x 82,9 cm - 18 11/16 x 32 5/8 in. Henri Rouart, Paris – Vente Rouart, Paris, Drouot, 9-11 décembre 1912, n° 178 (repr.) – Sir Hugh Lane, Londres, 1921 – National Gallery, Londres, 1932 (Don Sir Hugh Lane). Paris, 11 rue Le Peletier, 1877, n° 50 – Londres, National Gallery, 1917, Loan Exhibition of the Sir Hugh Lane Collection - Dublin, Municipal Gallery of Modern Art, 26 juillet 1965-23 janvier 1971, Long Term Loan - Londres, National Gallery, 1980, n° 28 - Londres, National Gallery, 1981-1982, repr. p. 6-7 - Washington, National Gallery, 1982-1983, n° 57 - Dublin, Belfast, 1991-1992, n° 3 - Dublin, Hugh Lane Municipal Gallery of Modern Art, 1993-1994, p. 37 - Turin, Palazzo Cavour, 2004, n° 67, repr. p. 239 - Londres, National Gallery, 2004-2005, Art in the Making, n° 6, repr. p. 97 – Williamstown, Barcelone, 2010-2011, n° 177, repr. p. 158 - Paris, musée Jacquemart-André, 2016, (n.n. ), repr. p. 30-31. Hertz, 1920, pl. IX - Thornley, Quinze lithographies d'après Degas (repr.) (Date inconnue. Publiées chez Boussod-Valadon) – Alexandre, cat. galerie Manzi-Joyant, vente Paris, 9-11 décembre 1912, n° 178, p. 96 (repr.) - The Studio, novembre 1914 (repr.) - Jamot, GBA, 1918, p. 135 (repr.) – Lafond, 1918-1919, II, p. 5 – Jamot, 1924, pl. 37 – Holmes, "New exhibition at the National Gallery", Burlington Magazine, février 1917, p. 80-81 - L’Amour de l’Art, avril 1926, p. 119 (repr.) – National Gallery Millbank Catalogue of the Modern Foreign School, 1926, p. 23 - Holmes, Notes on the Science of Picture Making, 1927, (n.p. ), fig. III des peintures - Bodkin, Hugh Lane in his Pictures, 1932, pl. 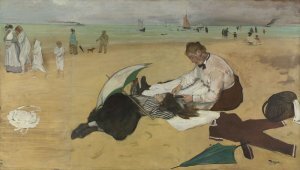 XXVII - Vollard, Degas, an intimate portrait, 1937, p. 47 - Vollard, En écoutant Cézanne, Degas, Renoir, 1938, p. 112 - Lemoisne, 1946-1949, II, n° 406, repr. p. 223 – Lemoisne, 1954, repr. face p. 68 - Cabanne, 1957, p. 51 - Catalogue of the National Gallery, Londres, 1973, n° 3247 (repr.) - Dunlop, 1979, p. 137 (repr.) - Reff, cat. exp. National Gallery, Washington, 1982, n° 58, p. 166 - Paris, Centre culturel du Marais, 1984-1985, fig. 110 - Langdon, 1986, n° 12, p. 38 - - Washington, San Francisco, 1986, fig. 9 (repr.) - Herbert, 1988, p. 274-280 - Milner, 1990, p. 104-105 - Bade, 1992, p. 100, repr. p. 101 - Kendall, cat. exp. Haven, Londres, 1993, p.115-121,124, 135, 244, 247 - Berson, 1996, II, The New Painting: Impressionism 1874-1886, n° III-50 - Kendall, cat. exp. 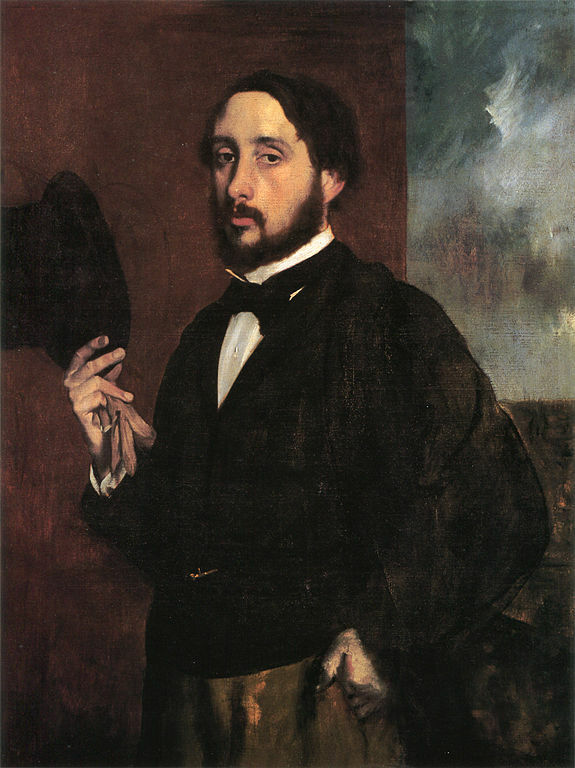 Metropolitan Museum, New York, 1997-1998, p. 208-213, 219 - Degas in the Norton Simon Museum, 2009, II, fig. 2a, p. 80 (repr.) – Giverny, musée des impressionnismes, 2015, fig. 21, repr. p. 42 - Durand-Ruel Snollaerts, 2016, repr. p. 30-31.